Altenew is giving away a $50 gift certificate to THREE lucky winners ! 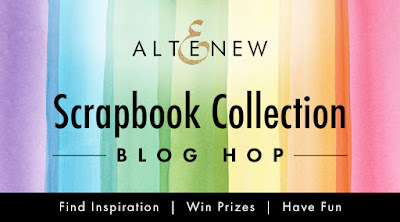 Please leave a comment on the Altenew Scrapbook Blog by Wednesday, July 19th at 11:59pm EDT for a chance to win. 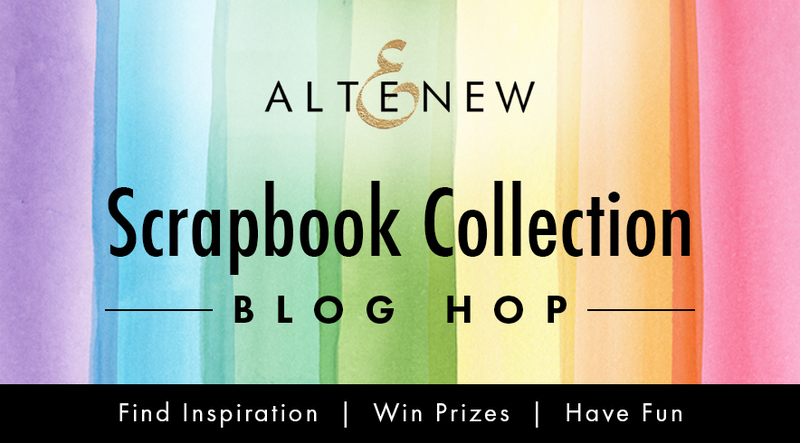 The winners will be announced on the Altenew Scrapbook Blog on Saturday, July 22nd. And for today I prepared layout for you. I used the Reflection Scrapbook Collection. 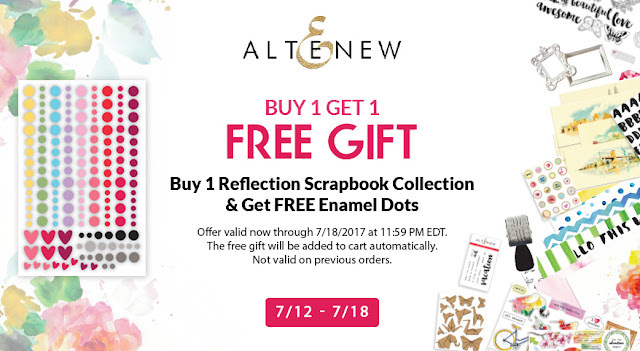 Receive a FREE Enamel Dots when you order the Reflection Scrapbook Collection 7/12 through 7/16/2017 at 11:59 PM EDT. The free gift will be added to cart automatically. Not valid on previous orders. There is more! Receive a FREE Scrapbook Class when you purchase the Reflection Scrapbook Collection . 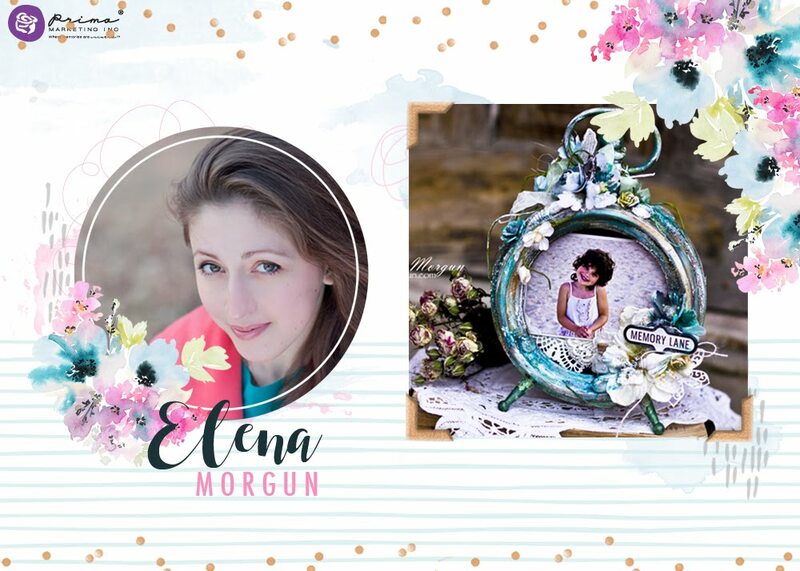 Send Altenew an email at support@altenew.com with your order number and Altenew will set you up with free access to the Timeless Floral Layouts Class . Your next stop is AhSang Jung blog! Thank you very much for stopping by and leaving the comments! 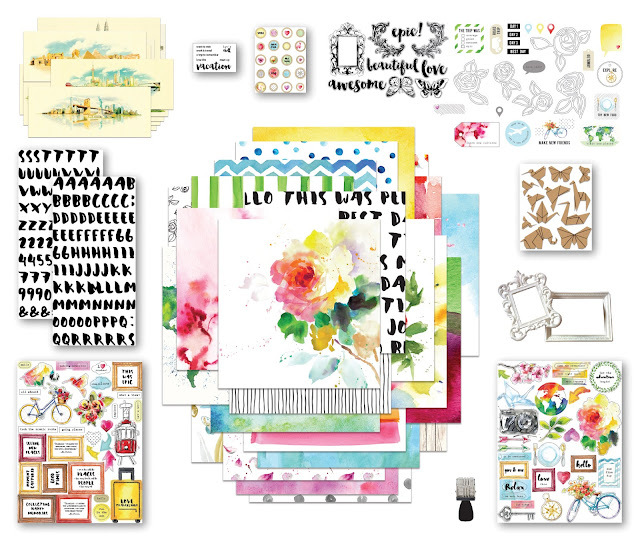 Have a great blog hop, good luck! It's perfect for memorizing good moments. Beautitul layout! Лен страничка супер! такая яркая и сочная! извини за глупый вопрос,а что такое блог хоп?в чем смысл? The striped paper looks perfect with the watercolor background. Beautiful layout! Very pretty. Love the layering. Very nice. Love your design. 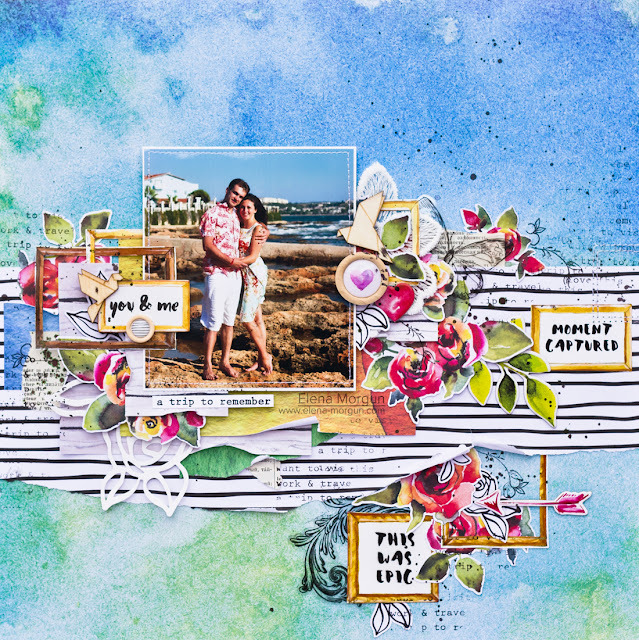 With your color selections and layering on this page, your photo becomes a part of the whole design. That's incredibly creative. Thanks for sharing this. Jaw dropping layout! Love love love it! This is just so amazing, the details, the layers, so fabulous! 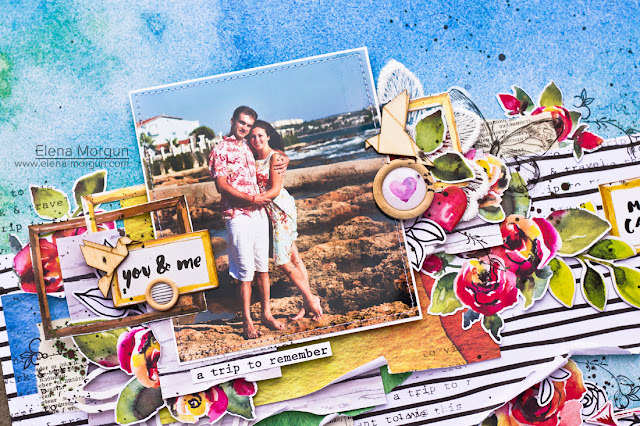 Neat layout for a great holiday snap. Breathtaking and awe inspiring! Each little detail on this layout combined with the next one adds up to a magical and magnificent layout! TFS! This is such a cool layout. I love all of the details. Beautiful layout! Love the papers you chose and all the great embellishments! Thanks for sharing. Great choice of background paper to match your beautiful photo. Wonderful embellishments too! Love how you created all those layers. Just gorgeous, love the layering. Love the B&W base on the blue. Stunning page. This is so pretty! I love the flowers layered! What an awesome layout of this special moment. 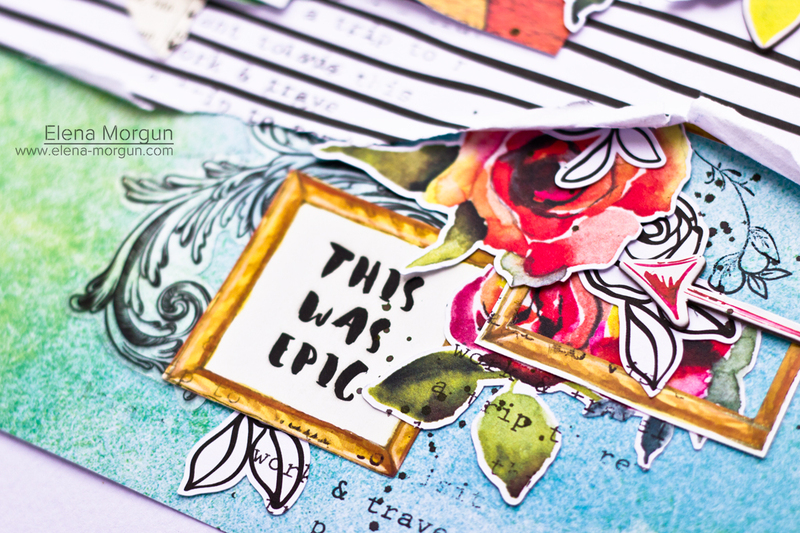 Lovely details and colors on your beautiful page! Beautiful layout! The paper really gives you the beach feel! Fantastic layout! Love the stripes in the middle of the nice bright colours! 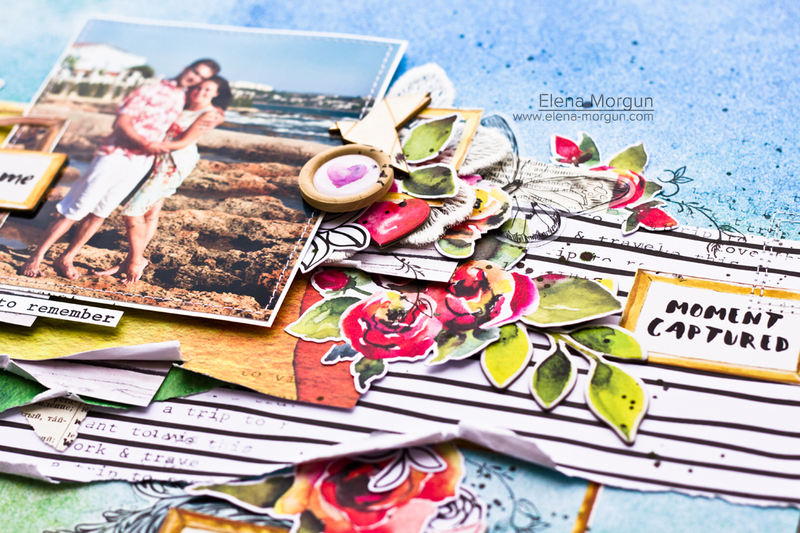 Wonderful LO, love the different patterns and colors, I am afraid of mixing papers most of the time, but you have inspired me to get out of my confort zone and experiment, thanks for sharing! Maravilloso proyecto lleno de color , gracias por compartir! !